Fred Lawrence Guile published his biography of Marilyn Monroe in 1969, one year after Robert Kennedy had been assassinated during his presidential run. Norma Jean: The Story of Marilyn Monroe revealed the film star’s affair with the politician, but not his identity. “Marilyn did not remain completely in seclusion as she had during her similar break with Hollywood and the studio in 1955. Then she had not only withdrawn form the public eye, but socially as well. She had chosen to be alone to reassess her life and to recover her strength. This time she preferred privacy because she was involved with a married man. He was no in the industry; he was an Easterner with few ties on the coast. He had come West mainly to work out the details of a film production of a literary property in which he had had a hand and to escape the pressures of his work as a lawyer and public servant. …Their relationship had nowhere to go. Publicity about the affair might destroy all his chances for an important political career. How sensitive he was to Marilyn’s precarious emotional state is difficult ot assess. Within days of their meeting he and Marilyn became nearly constant companions, a relationship interrupted only by his flights to New York or Washington when called on some business that could not be resolved over the telephone. *Likely Peter Lawford, a friend of Marilyn’s and the husband of RFK’s sister Pat. Norma Jean: The Story of Marilyn Monroe, Fred Lawrence Guiles, 1969, W. H. Allen & Co. Ltd. Readers seeking to understand how the world really works would do well to consult the website Vigilant Citizen. Recent posts include How “Spectre” is Really About James Bond Being a Tool of the Occult Elite and The Occult Symbolism of the Los Angeles Central Library. Vigilant Citizen has recently deconstructed the Taylor Swift video Look What You Made Me Do (“a blatantly obvious Monarch [mind programming] manifesto”) . Millions of pages of Hypertext Markup Language have been created to explore the theory that Taylor Swift is a clone of Zeena Lavey, the daughter of Anton Lavey, founder of the Church of Satan. Not many children of the 1980s managed to evade the trauma of seeing Anton’s face glowering up at them from the cover of The Satanic Bible on the New Age rack in W. H. Smith. Throughout this Satanism-obsessed decade, Zeena appeared as her father’s proxy on The Phil Donahue Show, Nightline, Entertainment Tonight, and Sally Jesse Raphael. This string of television appearances culminated with her participation in a one-off Geraldo Rivera special, Devil Worship: Exposing Satan’s Underground. I miss the eighties. 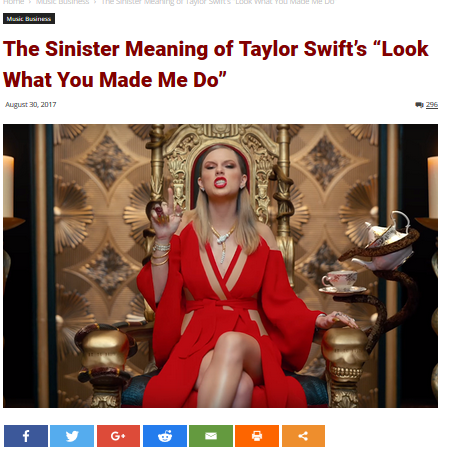 A comment made by a reader named ‘Hopeclouds” beneath the Vigilant Citizen Post outlining “The Sinister Meaning of Taylor Swift’s Look What You Made Me Do” goes one better. On the occasion of the remarkable date in Your life please accept my congratulations. Raisa Maximova joins me in our wishes to You of good health and well-being. I recall our conversation at Chequers and in Moscow. Then, it seems, we took a correct political tone and gave our dialogue such an orientation that meets the demands of the present situation in the world. I would wish to believe that the understanding on the problems of priority that we reached then will remainin force. But for this to be so, apparently, much effort, political wisdom and goodwill will be needed. 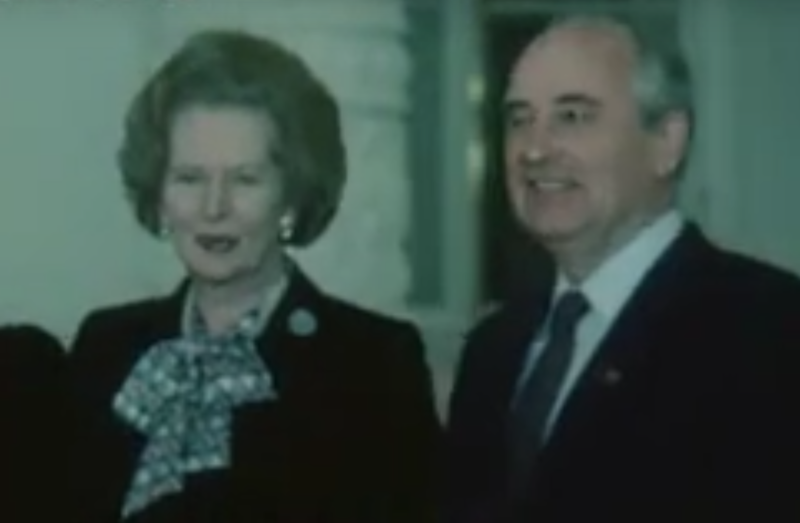 Please convey our best wishes to Your husband, Mr. Dennis Thatcher. 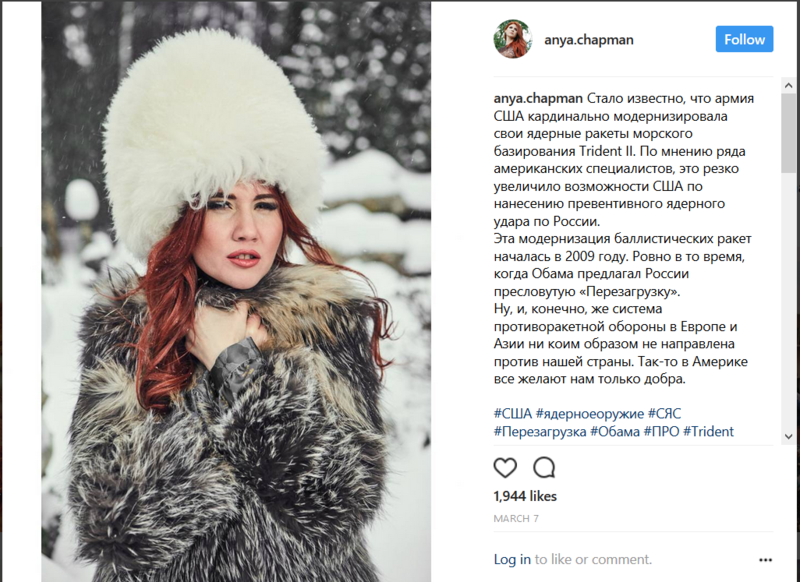 When the Russian intelligence agent Anya Chapman was arrested for spying, her single phone call was used to contact the British publicity agent Max Clifford, who arranged the sale of her story to the Daily Telegraph. Deported back to Russia in a prisoner swap, Chapman has worked as a television host, a catwalk model, and the head of a youth council for the government. Her Instagram account is a combination of propaganda and glamour shots. She has posed in log cabins and on military gunboats; cradling cheetahs and jack-o’-lanterns. The post below is a good example of the special charm of Anya Chapman’s Instagram feed. It’s like peeking inside Vladimir Putin’s Id. “It has become known that the US Army has radically modernized its sea-based Trident II nuclear missiles. According to a number of American experts, this has dramatically increased the US ability to launch a preemptive nuclear strike against Russia.